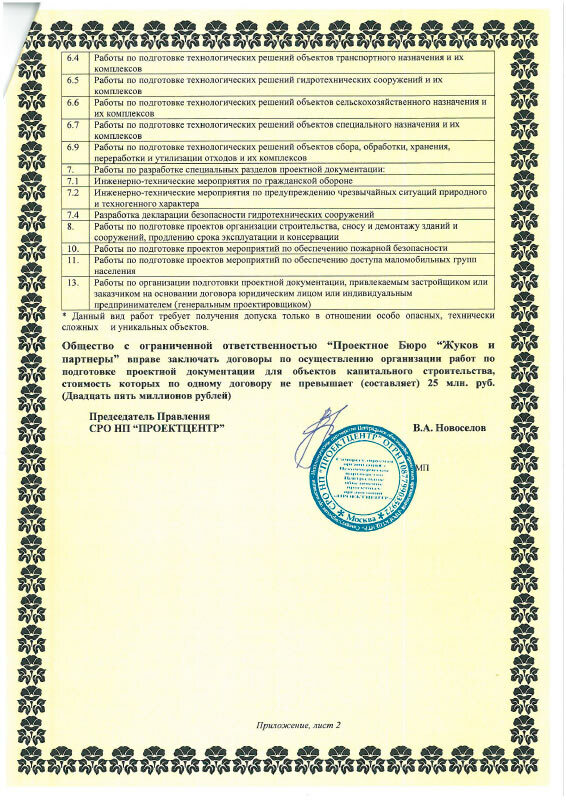 Zhukov and Partners Project Office Ltd is a design firm, which provides a wide range of professional services: building and structure design, architectural design, consulting, lay-out (3D rendering), working construction documents, structural analysis, and also construction supervision. 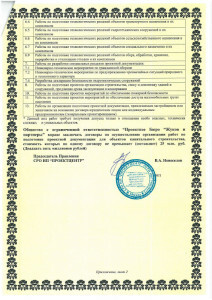 All types of work include not only a building design, but also the infrastructure-integrated assessment. 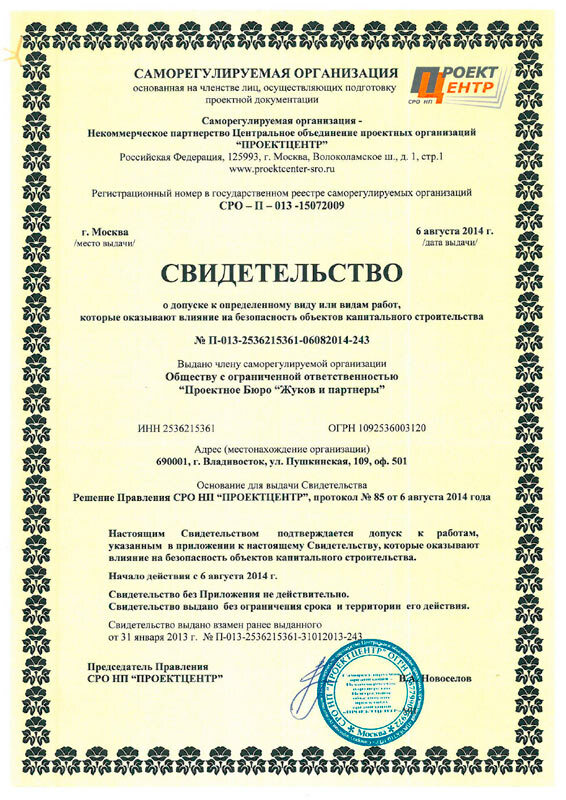 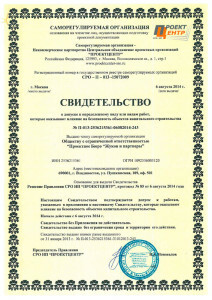 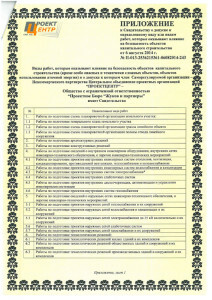 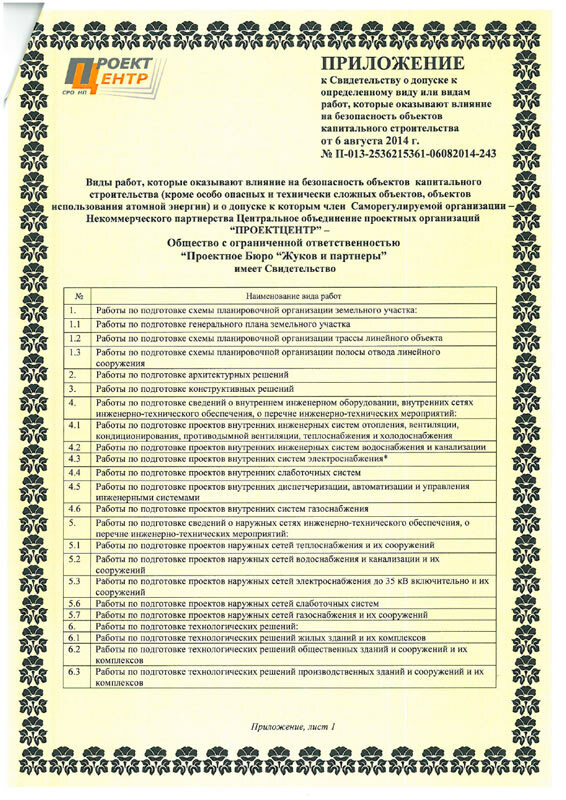 Our firm is a member of the self-regulated organization «Projectcenter» non-profit partnership (registration number in the national register of the self-regulated organizations is СРО-П-013-15072009).